"Across Sonoma Mountain wisps of sea fog are stealing. The afternoon sun smolders in the drowsy sky. I have everything to make me glad I am alive. I am filled with dreams and mysteries." Pristine hillsides of madrone, Douglas fir, black oak, buckeye, and bigleaf maple. Grassy meadows, and redwood-filled canyons. 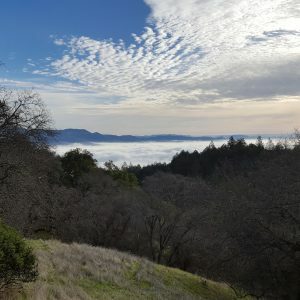 These can be explored on trails both short and long, including a Bay Area Ridge Trail segment. 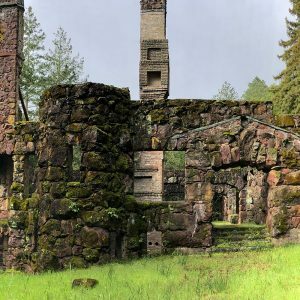 Spring and autumn are the standout seasons at Jack London State Historic Park. In spring you can search for wildflowers in the woods and grasslands, and in autumn the Park’s black oaks and bigleaf maples are gorgeous. 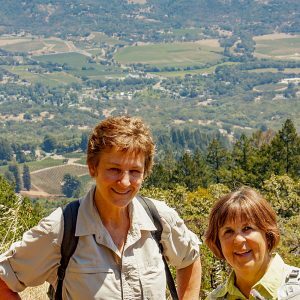 Although summer temperatures soar in eastern Sonoma County, many trails are almost entirely shaded. During the wettest months of the year, waterfalls and streams overflow with storm runoff, and trails can be muddy. 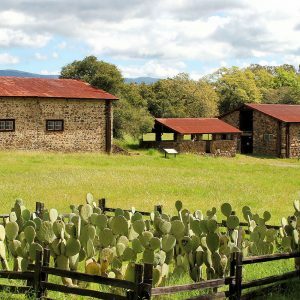 Two relatively short historic trails will take you to the Wolf House and on a tour of the Beauty Ranch. 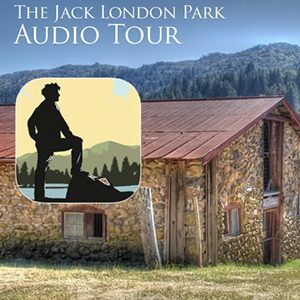 There is an audio tour available and dogs are permitted on leash. No smoking. (See our Historic Trail links below). 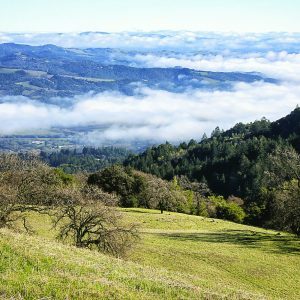 There are over 29 miles of back-country trails that traverse through mixed forest, redwood groves, oak woodlands, and grassy meadows. The elevation varies from 600 to 2,300 feet. Back-country trails are accessible from the Beauty Ranch and begin on the Lake Service Road near the Winery Ruins. Please use a map when hiking any trails and bring plenty of water. Dogs are not allowed on our back-country trails. Due to fire danger, smoking is not allowed on any trails in the Park. Smoking is allowed only in the 2 paved parking lots. Please fully extinguish all smoking materials to prevent wildfires. (See our Back-country Trail Links below). Experience, at your own pace, your “virtual” guide leading you on a personal tour of the Wolf House and Beauty Ranch historical trails. 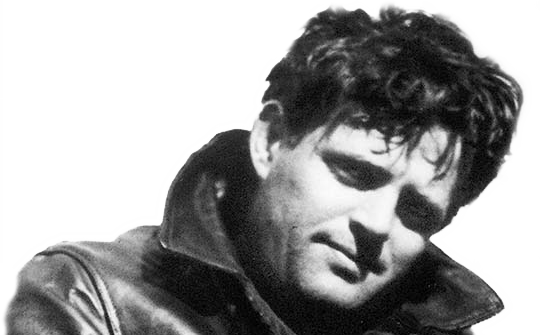 Download the map of the entire Jack London State Historic Park. From the Museum parking lot, it’s a one-mile round trip to the Wolf House Ruins and the Londons' Gravesite. Rated: Not Difficult. Dogs allowed on leash. No Smoking. 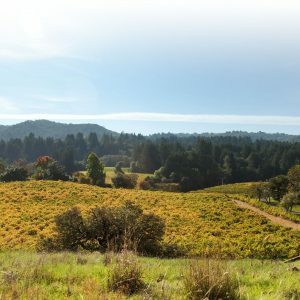 From the upper Ranch parking lot, the trail leads you to the Barns, Cottage, Winery Ruins, Silos and Pig Palace. An out-and-back trail to the park summit. This is primarily a fire road and is steep in some sections. 8+ miles, rated difficult, 600–2400 feet. Rated: Difficult. No dogs, no smoking. The featured hike starts at the Beauty Ranch parking lot, at about 700 feet and climbs to 2100 feet. 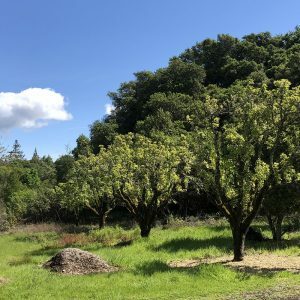 Many rare varieties of fruit-bearing trees are still producing in this once 100-acre orchard. Rated: Moderately difficult. No dogs, no smoking. 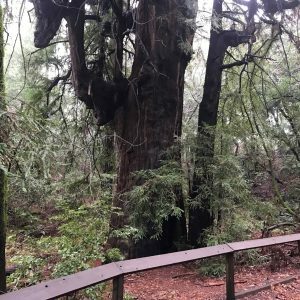 The 14-foot diameter giant redwood, often referred to as the "Grandmother Tree", is estimated to be 1800 to 2000 years old.